As a lifelong educator in the South Bay, and as an individual who has a passion for excellence in the education of our youth, the opportunity to serve on the County Board of Education to help shape the future for our children’s education was an opportunity to fulfill my desire to give back to our community and to our children. Unfortunately, the final votes indicate that this effort will not be realized. However, I want to take a moment to express my deepest appreciation for your support, and for your votes for me to represent you and your family’s wishes for the best educational opportunities for all our students under the oversight of the County Board of Education. Your support for my candidacy is very sincerely appreciated, and I will forever remember the thousands of people who felt I was the best qualified to serve on the Board and represent our local educational needs and desires. Thank you so much for your support, confidence in my abilities, and caring enough to try to make a difference by electing me to this position. I truly am very fortunate to have so many friends and supporters in this effort, and I just want you to know how much I appreciate your loyal support. Jerry Rindone presents the Joe Rindone Memorial Scholarship to Erika Venegas from Montgomery High School. Jerry Rindone was on stage to present the Joe Rindone Memorial Scholarship to Erika Venegas from Montgomery High School. Since 1997, the Classroom of the Future Foundation (CFF) has engaged business, community, and educational leaders to create innovative learning environments in San Diego County K-12 public schools. CFF, a 501(c)(3) nonprofit organization works to advance its mission by ensuring that San Diego students are prepared to thrive in a competitive global society. CFF is known for being the convener of business, community, and educational leaders around innovation in education. Moreover, CFF is a catalyst and champion for the creation of learning programs that apply proven business and technology-based practices in the school setting. CFF is also a trusted resource for school districts, and a thought leader on innovation in the classroom. A good leader needs to be open, available, and willing to not only hear the voices of constituents, but take them into consideration when making decision. My method of operation has always been to openly communicate with others. It has been the hallmark of my time on the San Diego County Board of Education and will continue to be a focus as a trustee on the San Diego County Board of Education. The function of a county board is different from a local district board of education. Therefore, it’s essential for both to exist. School districts in San Diego County with fewer students rely heavily on the San Diego County Office of Education for support in many roles, including information technology, professional development, ESL programs and students with special needs. The county also offers separate programs to students with special needs, foster students, and to those students who have been detained in Juvenile detention facilities. With the sheer size of the State of California, one of the functions of the county board is to provide consistency across all of the districts within that county and allows county superintendents to collaborate, share, and become spokespersons at the state level. Jerry Rindone has been elected to the County of San Diego Board of Education – District 2 previously in 2008 and held the position for four years. He is an Experienced Educational Leader with over 40 years as a teacher, administrator, principal and member of the San Diego County Board of Education. He has served the San Diego County Community for 38 years as a Chula Vista City Council Member, a leader with the SANDAG Transportation Committee, the Chamber of Commerce and the Scripps Hospital Board. Jerry’s Commitment to Educational Leadership will bring the Lifelong Experience We Need and the Unquestioned Integrity We Deserve. To learn more and to donate to Jerry Rindone’s campaign, visit jerryrindone.com. 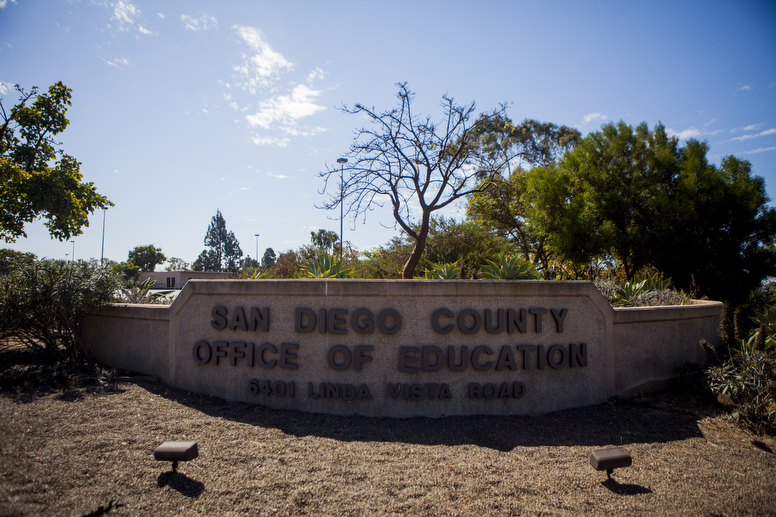 The annual budget for 2015-16 for the San Diego County Office of Education was more than $591 million dollars. The San Diego County Office of Education supports 42 elementary and secondary school districts with over 500,000 students. The County office of Education helps save districts money by centralizing services and training educators. As a board member, I will have responsibility for approving the annual county office budget. I have exhibited fiscal responsibility in my actions and votes with San Diego County Board of Education during my last four year term. I will always review the budget to ensure there is no redundancy of programs and that money is being spent to most directly impact the largest number of students possible. I will work tirelessly to ensure that our San Diego County Court Schools are appropriately staffed and maintain a quality instruction program with a pupil-teacher ratio to fully address the needs of our most challenged students. I fought for this during my last term on the San Diego County Board of Education and was successful. As a member of the Chula Vista City Council, I served as the representative to the SANDAG Transportation Committee, served as Vice-Chairman of the Metropolitan Transit System, Chairman of the MTS Budget Development Committee, and played a key role in strengthening the relationship between schools and local government. One size does not fit all; it never has. Everyone learns at a different rate and in different ways. Our current educational system was designed to fill the needs of the factory system. Society has changed and education MUST CHANGE. We need to focus on redesigning education for the modern world. To do this, there needs to be a focus on meeting the needs of every student. This can only happen by encouraging educators to think differently, by exploring alternative methods of instruction which will engage all learners. Educators must be able to focus on college and career readiness for all students. What often is missing from education today is instilling in our students the “love of learning”. We need to foster a desire to be a lifelong learner in all students. As they mature into adults, this desire will manifest into a passion to improve not only their own lives but improve their workplaces and society. My passion for education was instilled in me from an early age and from a family of educators as evidenced by my previous 4 years serving on the San Diego County Board of Education I have served more than 38 years in education in the South Bay. I have been a fulltime classroom teacher, Dean of Students, Adult School Principal, High School Principal and Assistant Superintendent of Adult and Continuing Education in the Sweetwater Union High School District. For me, the students are our customers, and we need to ensure that they receive a world class education. Our students deserve great customer service and they are our future leaders. The County Board of Education needs thoughtful leaders, my previous service on the County Board of Education focused on the needs of our students. There are numerous new and innovative approaches in education; they include migrating from the traditional classroom and shifting into personalized learning, the “One on One” digital learning environments, and more. I will work to inspire teachers to have fun while doing their jobs by creating innovative practices and projects at the County level to effectively educate their students. I will continue to promote parent and community involvement by encouraging staff to develop programs and opportunities to engage these valuable contributors. I am doing all of this because I want to be involved, and I want to give back to the community that provided amazing opportunities for me. Education is the “great equalizer” and we must do everything possible to ensure that all students have the opportunity to succeed. On May 17, 2016, Jerry Rindone was endorsed for the San Diego County School Board, District 2, by the Latino American Political Association of San Diego. The mission of the Latino American Political Association is to promote leadership and unity in the Latino community and to increase Latino participation in the political process and representation government. LAPA shall endeavor to mobilize the Latino community whereby increasing Latino representation at all levels of government in order to influence the development of a more diverse and open society for the benefit of all citizens. LAPA’s monthly meetings are held on the 3rd Tuesday of each month at 6pm at Andrés Restaurant located at 1235 Morena Blvd, San Diego 92110. A special thanks to Andrés Restaurant for allowing us to meet at their restaurant every month. In this week’s San Diego Explained, VOSD’s Scott Lewis and San Diego NBC 7’s Monica Dean go into detail about the Office of Education’s role in San Diego and why so many are fighting to lead it. The headquarters of the San Diego County Office of Education. Interested in School Leadership narrative? The June primary is right around the corner and four of the five spots on the board of the San Diego County Office of Education are up for grabs. But many voters are unaware of what, exactly, the office does. Think of it as the Big Brother of local school districts. With a $600 million annual budget, the Office of Education oversees the county’s school districts and can do things like put someone in charge of a district’s budget during a financial crisis and coordinate legal fees and payments if a school district gets sued.